This text reflects the immense current growth in interest in agroecology and changing approaches to it. While it is acknowledged that the science of ecology should be the basis of agroecological planning, many analysts have out-of-date ideas about contemporary ecology. Ecology has come a long way since the old days of "the balance of nature" and other romantic notions of how ecological systems function. In this context, the new science of complexity has become extremely important in the modern science of ecology. The problem is that it tends to be too mathematical and technical and thus off-putting for the average student of agroecology, especially those new to the subject. 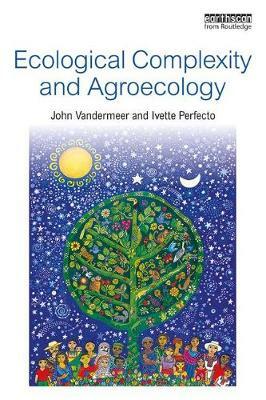 Therefore this book seeks to present ideas about ecological complexity with a minimum of formal mathematics. The book's organization consists of an introductory chapter, and a second chapter providing some of the background to basic ecological topics as they are relevant to agroecosystrems (e.g., soil biology and pest control). The core of the book consists of seven chapters on key intersecting themes of ecological complexity, including issues such as spatial patterns, network theory and tipping points, illustrated by examples from agroecology and agricultural systems from around the world.